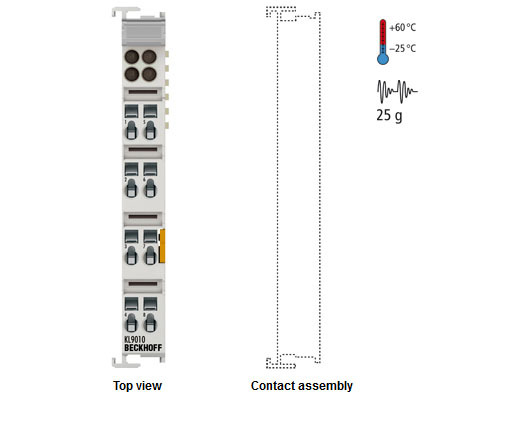 The KL9010 bus end terminal is necessary for data exchange between the Bus Coupler and the Bus Terminals. Each assembly must be terminated at the right hand end with a KL9010 bus end terminal. The bus end terminal does not have any other function or connection facility.